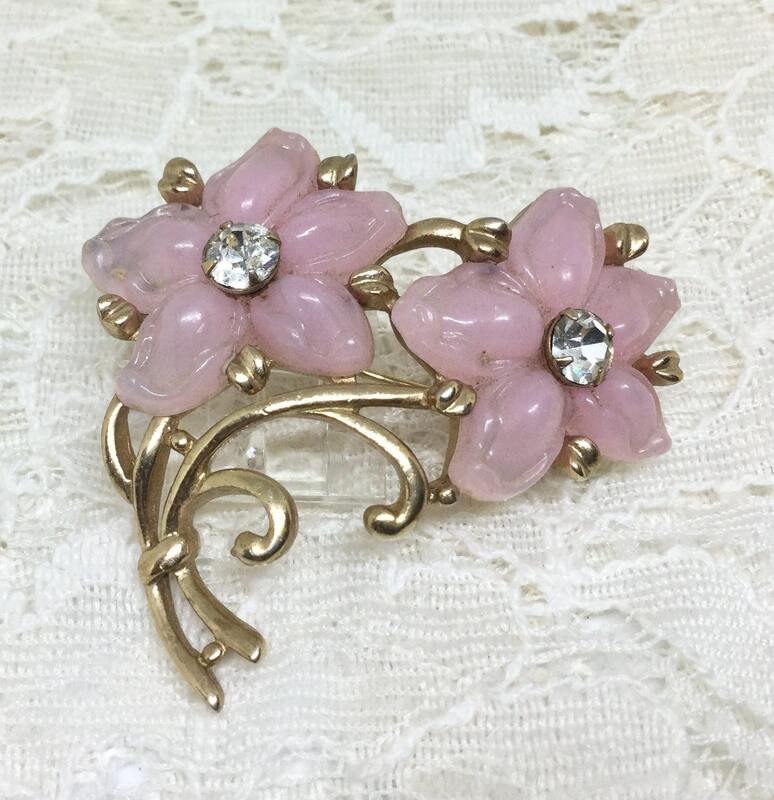 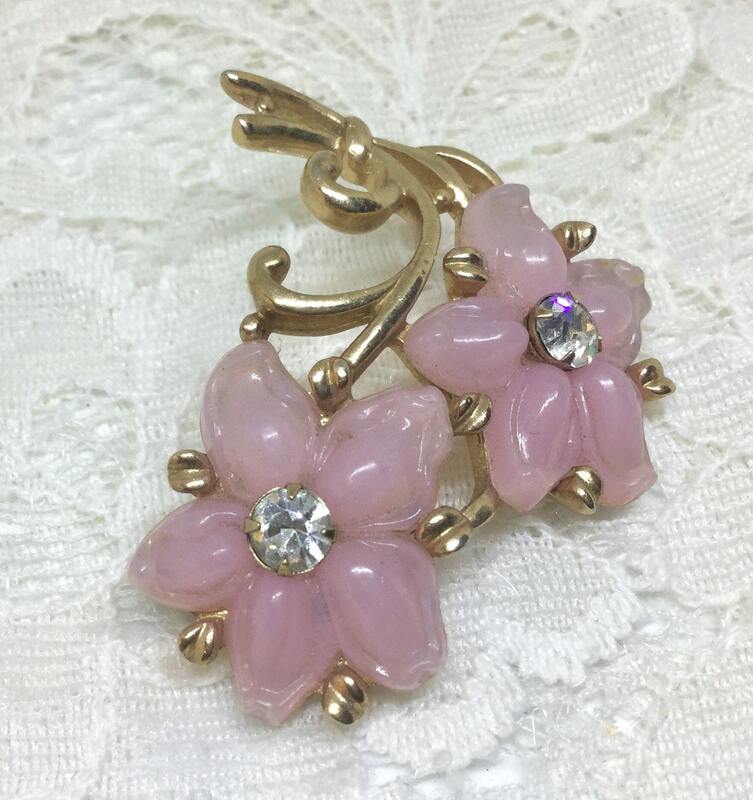 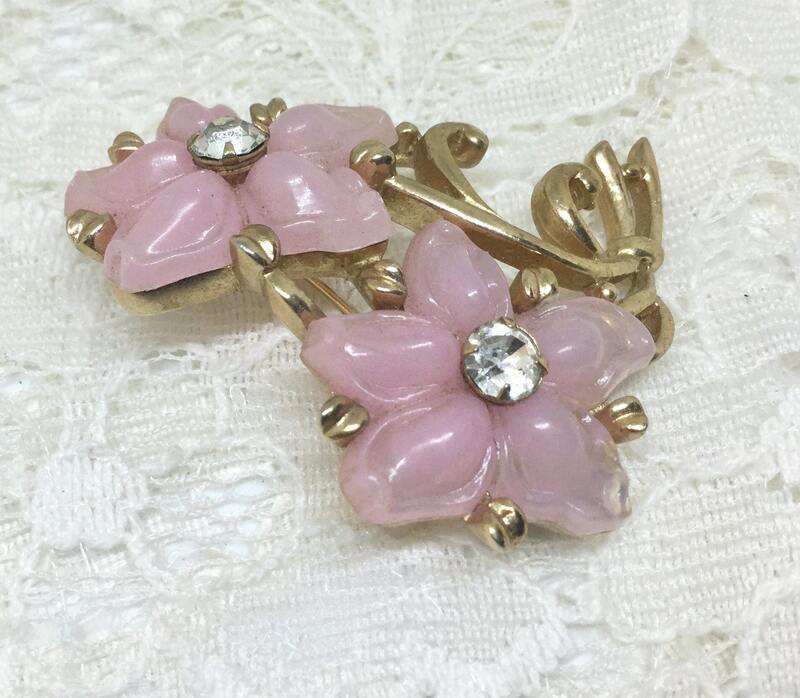 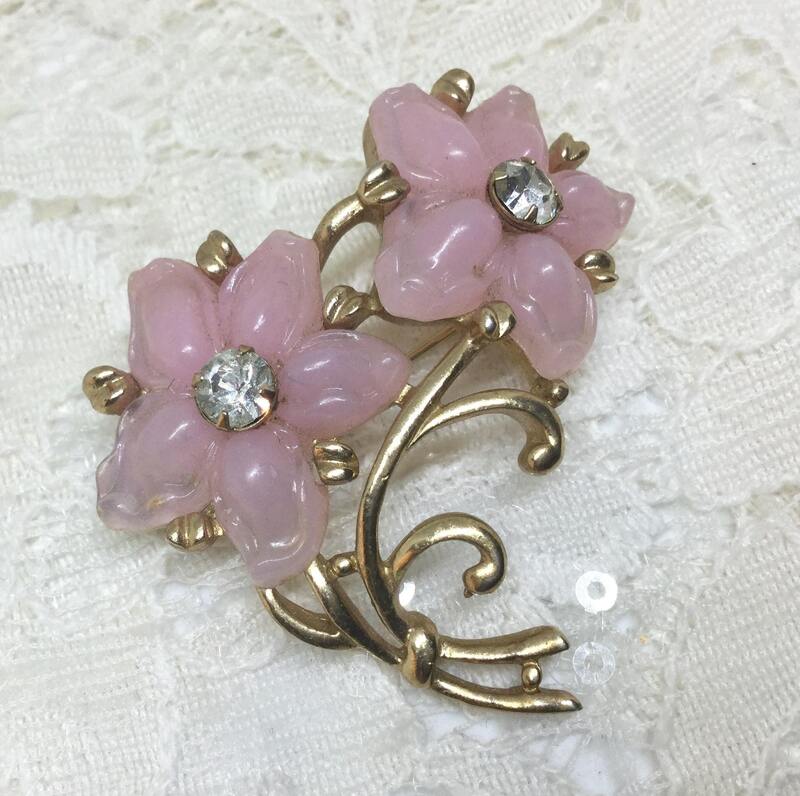 This is a sweet flower brooch with two pink lucite flowers with clear rhinestone centers. 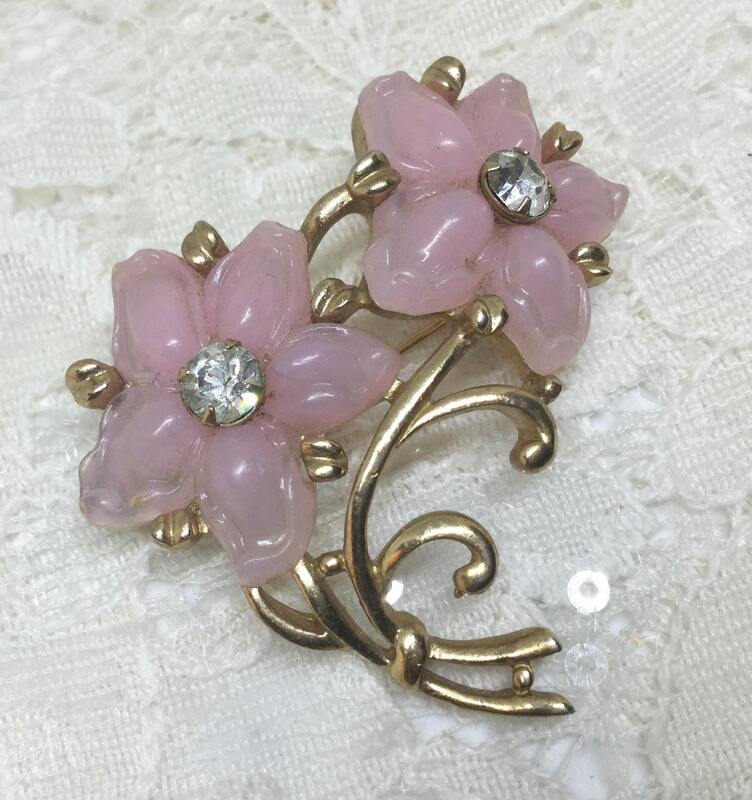 The setting is goldtone with graceful swirling stems. 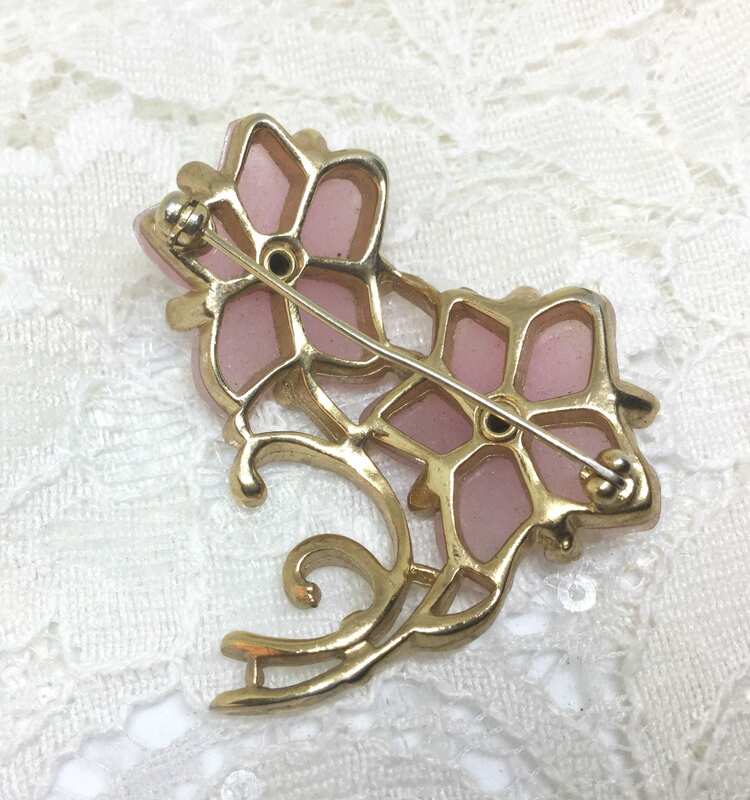 It measures 1 3/4” x 1 5/8” and the pin closure is straight and works smoothly and securely. 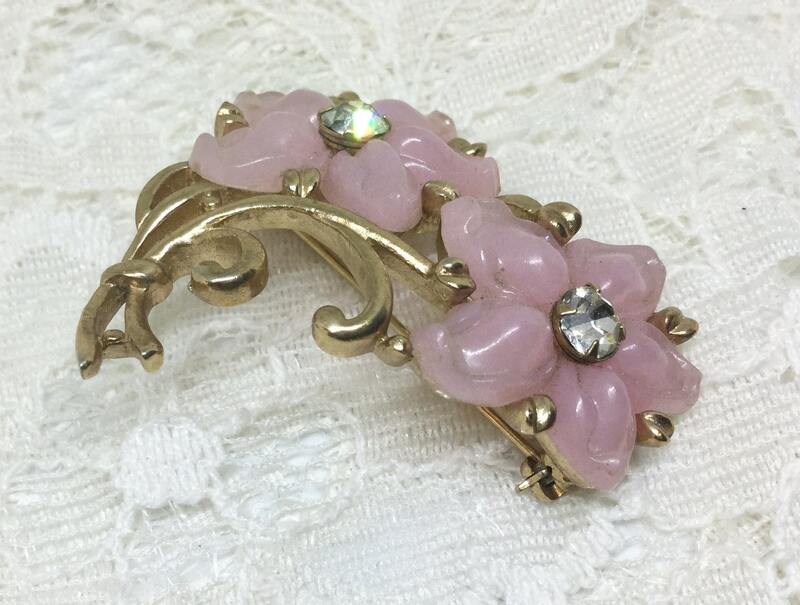 It is in excellent condition and would be nice to wear or give as a gift!